Launched in 2003, Axial Arts Architecture is an architectural design group based in Steamboat Springs, Colorado. A collaboration between the husband and wife team of Kevin and Wendy Lind, Axial Arts specializes in mountain contemporary and equestrian based architectural design. With projects ranging from the very small to the very large, we use our diversity of skills and experience to develop creative, well designed projects that meet or exceed our clients’ expectations. Currently, Axial Arts is working on an assortment of projects, which include several mountain residences, large scale condominium and resort developments, agricultural and ranching complexes, and community benefit endeavors. To us, good design is a multi-faceted enterprise that goes beyond appearance alone. Good design is measured by factors such as functionality, cost, environmental sensitivity, quality of construction, efficiency and a general sensibility to what should and shouldn’t be. Just as importantly, a well designed project will have an innate understanding of its surroundings. It will create an environment that is experiential ideal. We strive to design according to nature’s laws: nothing is wasted, and everything that exists has a purpose. For many, having the ability to design and build a project from the ground up is either the realization of a lifetime goal and/or a very important investment. At Axial Arts, we don’t take that lightly. We’ve often been told that one of our greatest strengths is our ability to listen, fully appreciate, and implement what our clients are telling us. The fact that many of our current clients were referred to us by previous clients speaks to this. While each project is unique, our overall approach is thoughtful, investigative, and creative. It’s both interactive and reactive. It’s a great joy us when our clients tell us they love living in their house, because both the end result and the process getting there were positive experiences. Kevin and Wendy Lind met while working for RMT Architects in Vail, Colorado. Working at RMT was not only a great opportunity but also integral in building experience in the studio and on the job site- Kevin and Wendy worked on unique projects both small and large in the Vail and Beaver Creek area, including the project pictured above. The couple married, and after working at RMT for 7 years, they launched Axial Arts Architecture, LLC in 2003. Many clients have commented that the duality of Kevin and Wendy’s backgrounds and perspectives bring an ideal balance to projects. Since then, the Lind’s have worked on a variety of projects, ranging from single family additions in Denver, a 12,000 square foot residence on a 20,000 acre ranch in Walden, to high-end custom residential homes and several equestrian and ranching facilities. 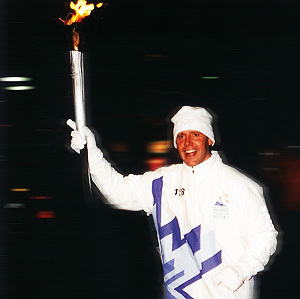 Originally from upstate New York, Kevin Lind grew up doing all things outdoors and spends much of his time skiing, running, and biking and was honored to be selected as Olympic torch bearer. With a Bachelors of Fine Art from Syracuse University and a Masters of Architecture from the University of Colorado, Kevin has a strong background in art, theater, and lighting design. Prior to his graduate degree, his past work experiences included serving as design team leader and builder for Garden Builders, Inc., as well as a 6 year stint working for the Denver Art Museum as an exhibition designer. Technical director of The Lab at the Denver Theater Company, Kevin worked with many prominent theater companies such as Fusion Theatre Group in Chicago, the Santa Fe Festival Theatre Company in New Mexico, the Vail Institute for the Performing Arts, the Kaiser Permanente Children’s Theatre Group in Denver, the Colorado Stage Company in Denver, and the Creede Repertory Theatre Company in Creede, Colorado. Coming from a long line of morticians, one of Kevin’s greatest strengths is working with our clients and consultants to keep projects running cohesively and smoothly. He is a master at resolving and avoiding issues in the field and his experience is a valued asset when it comes to building systems, obtaining permits, and design approvals. Additionally, Kevin oversees Axial Arts’ position as design consultant for Marabou Ranch, Catamount Ranch, and Wildhorse Meadows and sits on the Steamboat Springs Education Fund Board Grant Commission. Wendy Lind received a Bachelor of Science in Systematics & Ecology and a Masters of Architecture from the University of Kansas. While at KU, Wendy was lucky to have been a part of the acclaimed Studio 604 program, and has used that design/build experience throughout her career. Growing up on a ranch in the Roaring Fork Valley, just outside Aspen, Wendy spent the majority of her time horseback and on hunting excursions with her family. 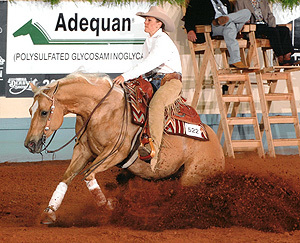 She has garnered 10 world and reserve world championships in the performance horse industry, and currently competes in National Reining Horse Association venues, where she has been a finalist in the NRHA Non Pro Futurity & NRHA Derby. In addition to being an architect, Wendy has built up a strong client base in equestrian graphic design and photography, and travels around the country as an award-winning freelance writer and photographer for magazines such as the Quarter Horse News and the NRHA Reiner. With an strong interest in the local community, Wendy is the vice president of the Routt County Agricultural, Youth & Heritage Foundation.